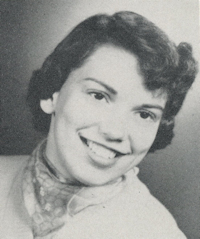 Obituary – Glover, Mary Lou (Rugh) « Perry High School Alumni Association, Inc.
﻿Wrestling Queen Attendant 54-55, Twirler 54-55, Annual Staff 54-55, Annual Play 54-55, Perryscope Staff 54-55, Courtesy Guide 53-54, Red Hots 52-54. 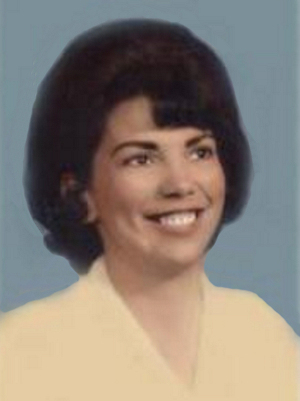 Mary Lou Glover, 73, died April 7, 2011 in Oklahoma City. She was born September 13, 1937 in Perry, OK to George and Thelma (Billam) Rugh. Mary Lou was a senior accountant for Chaparral Energy. She was preceded in death by her parents and daughter, Laurie Traghella. She is survived by her son, Jeffrey Glover; grandsons, Luke and Levi Traghella; and granddaughter, Lauren Traghella. Graveside services will be held at 1:00 pm on Tuesday, April 12, at Spring Creek Cemetery in OKC.